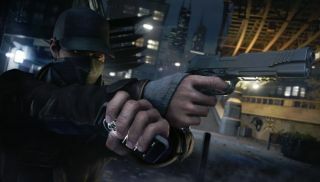 Ubisoft has finally released a video that delves into a number of Watch Dogs ' multiplayer modes and it's one video you'll definitely want to watch. The above video offers a great look at three unique modes, which, gratefully, are nothing like your typical deathmatch or capture the flag modes. All multiplayer takes place in the same world as the single-player campaign, and in the first mode—called Online Hacking Contracts—we see how they blend together seamlessly. You goal is to invade another player's game, hack him for points you can use for upgrades, and hopefully get away without getting caught. The second multiplayer mode uses Watch Dogs' ctOS Mobile Companion App, which runs on both iOS and Android. In this mode, players can challenge each other to a race, where the player on the PC is trying to get through a series of checkpoints while the player with the the mobile app deployed traps and cops to stop him. Finally, in the Competitive Decryption Combat mode, two teams race to steal data from a specific location and escape. It's all pretty cool stuff. Tyler got to play with all of this for a good number of hours, and his hand-on preview has a ton more info. Watch Dogs is out on May 27.